Sporty style and amazing comfort gives you twice the reasons to enjoy the SKECHERS Equalizer - Double Play shoe. 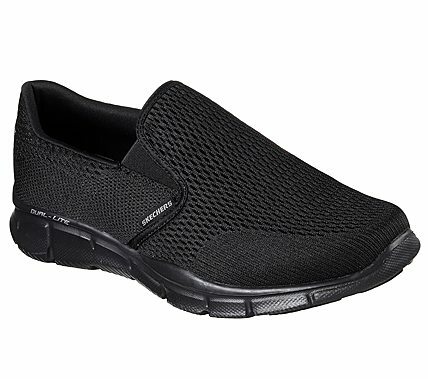 Skech Knit Mesh nearly one piece fabric upper in a slip on sporty comfort moc with stitching and overlay accents. Gel Infused Memory Foam insole.